Happy Friday Everyone! Today I have a solution to your scraps and unused tools! 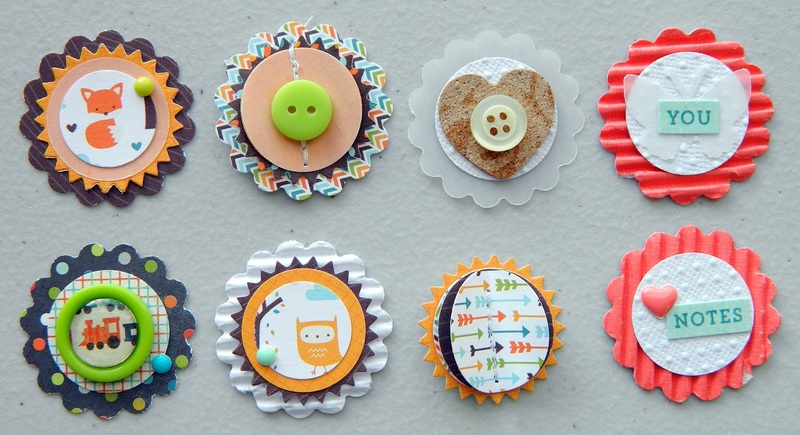 DIY Embellishments! I made all of these in one hour! Keep reading to see how easy it was! 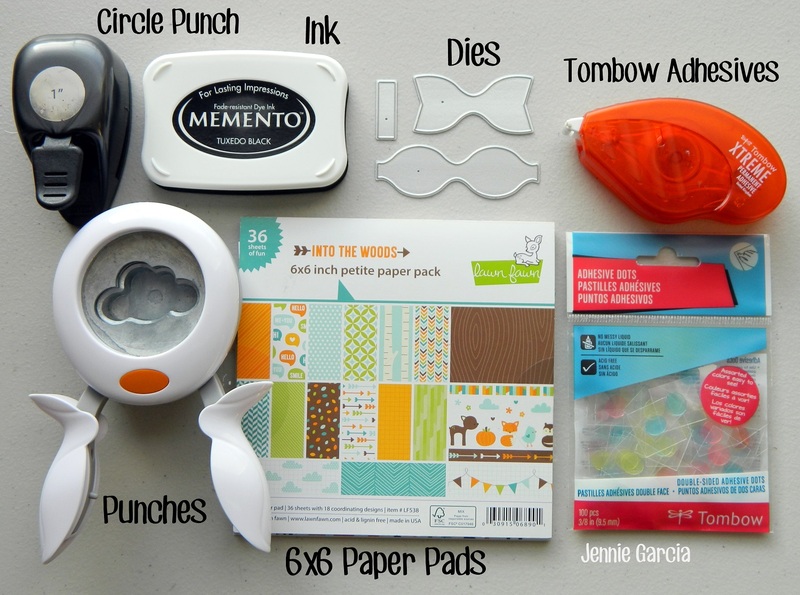 Here are a few things you need: Tombow Adhesives of course, those 6×6 Cute Paper Pads you’ve been hoarding forever, cardstock, Punches of different sizes and shapes, dies, inks and of course your giant pile of paper scraps. 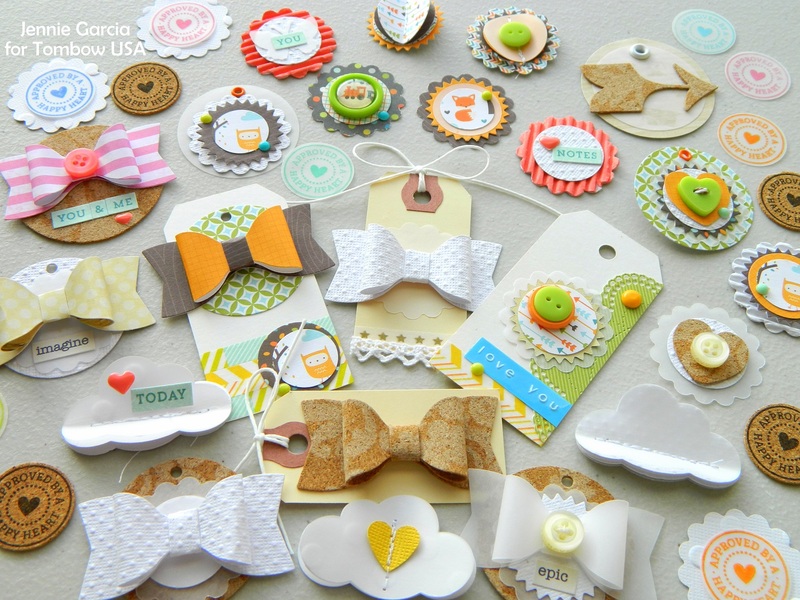 There are other miscellaneous things you might already have like: buttons, enamel dots, washi tape (all 200 rolls, if you are like me), vellum, cork, word stickers and if you like sewing paper throw some sewing in there too! I would call these ones, the basics. Just punch out few circles and scalloped punches and start layering! I love texture so anything embossed like this Core’dinations Cardstock, Corrugated Paper from Fancy Pants Designs or Cork from DCWV it’s awesome! If you look at the embellishments on the top I layered this tiny Epiphany Crafts Circles with a button and it looked a store bought embellishment! To glue it to the button I used the Tombow Xtreme Adhesive. 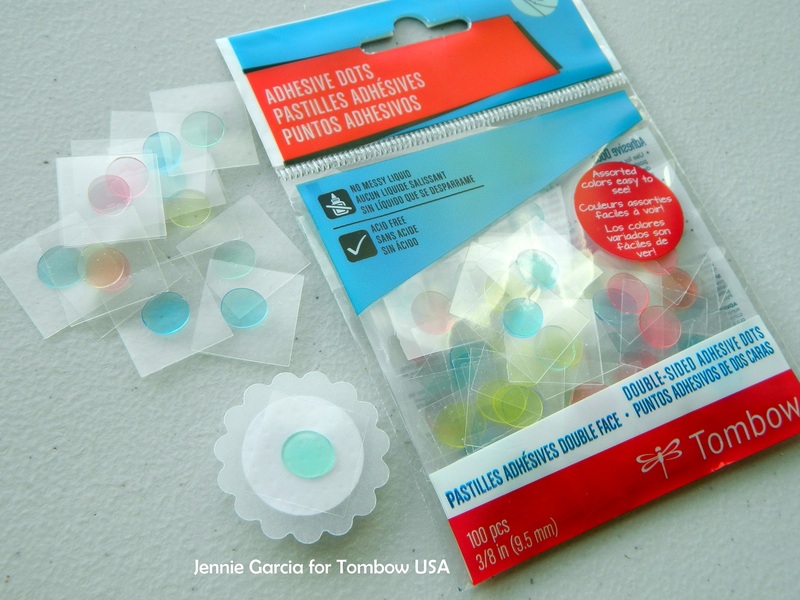 To have your embellishments ready to stick in your project peel only one side of the Tombow Adhesive Dots! 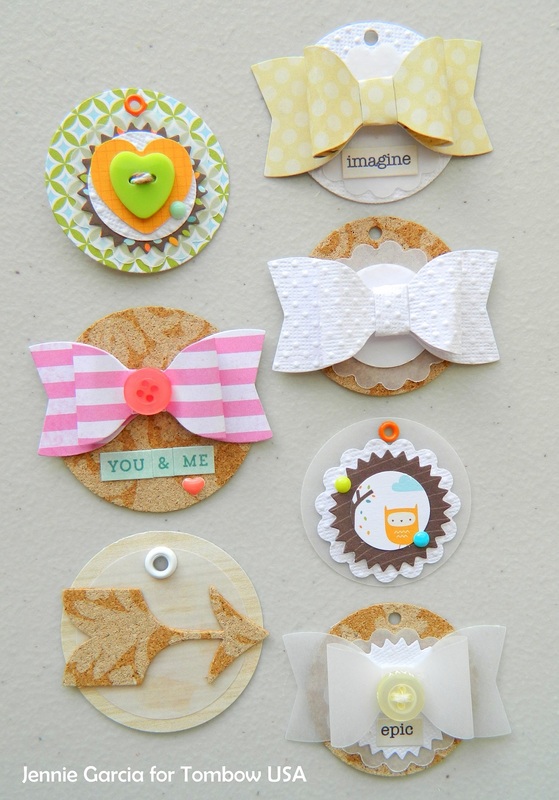 Stack the same punch shape a few times and sew in the middle for some awesome dimensional embellishments. You can add a few extra things too! 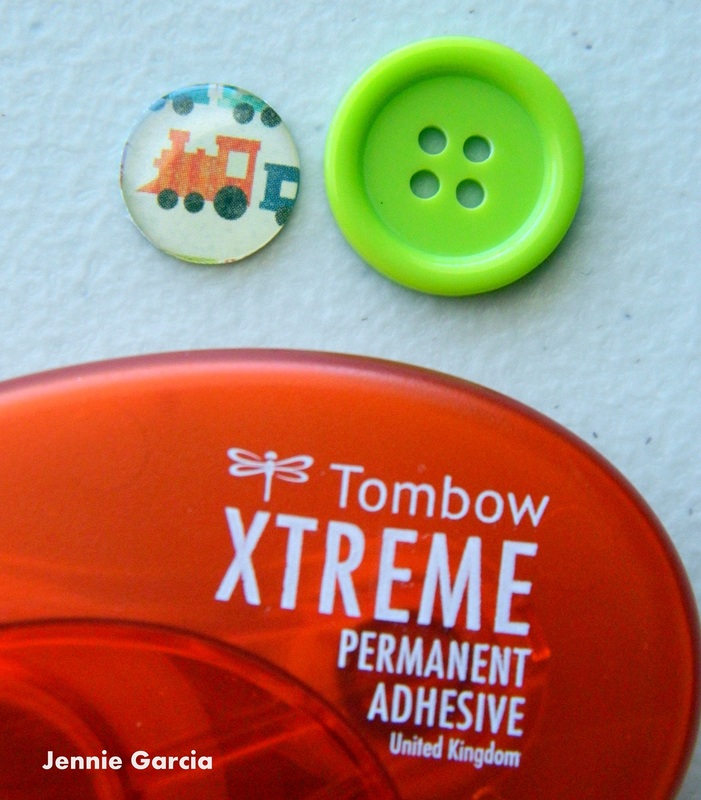 To glue vellum and cork I always use the Tombow Xtreme Permanent Adhesive. 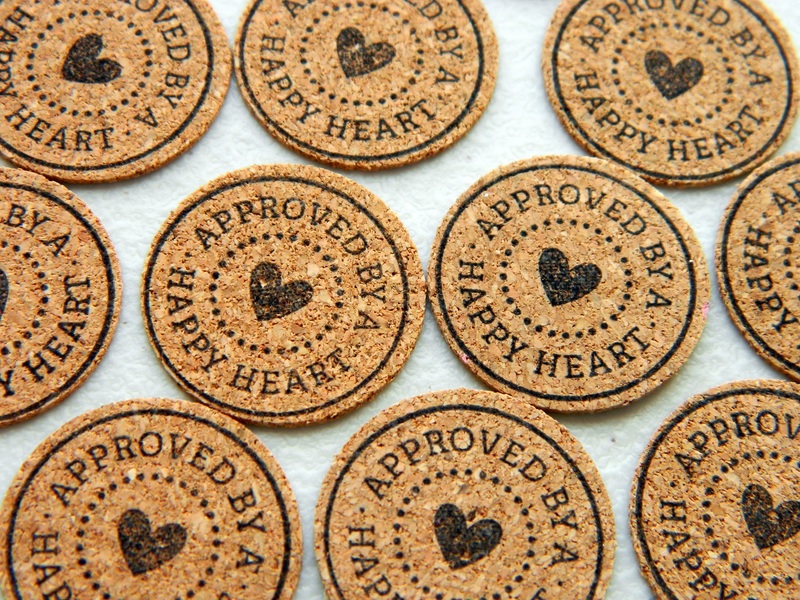 Another idea is stamping on cork and then using a one inch circle punch! Try it on vellum too and throw some colors! 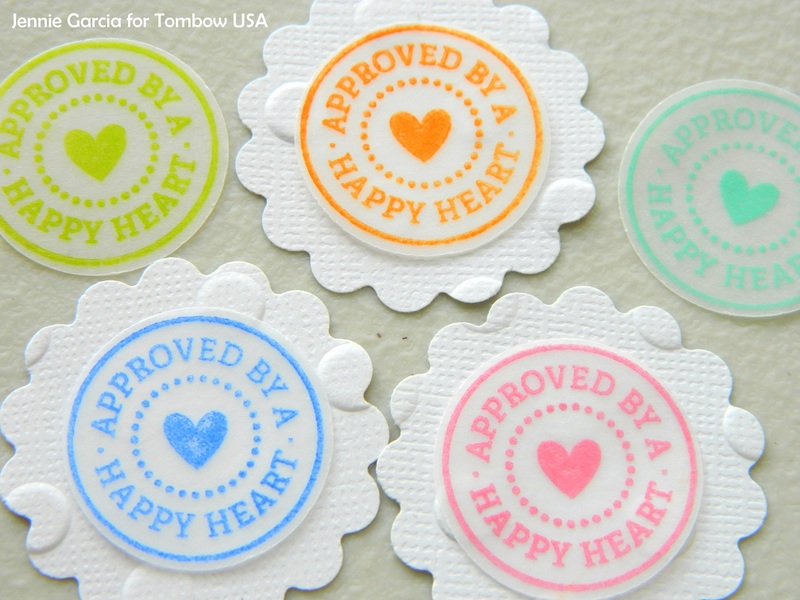 I glued the vellum circle on the white paper using the Tombow Xtreme Permanent Adhesive! This runner is clear so it won’t show through the vellum! 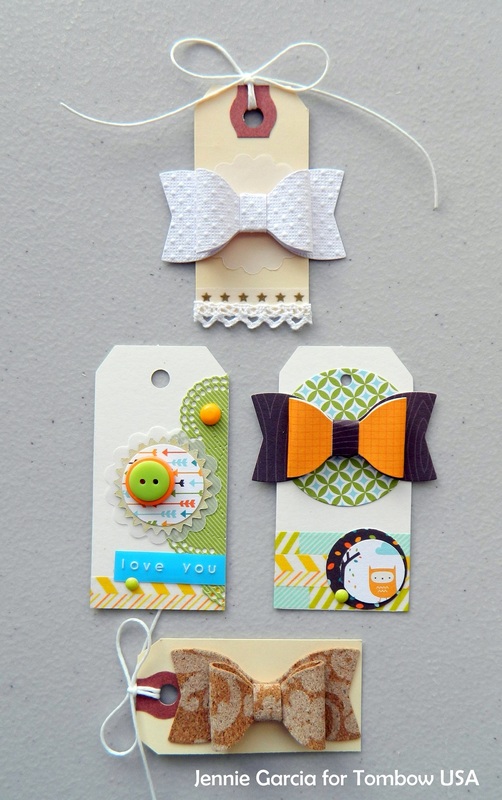 These tags can be embellishments or just tags for your presents! 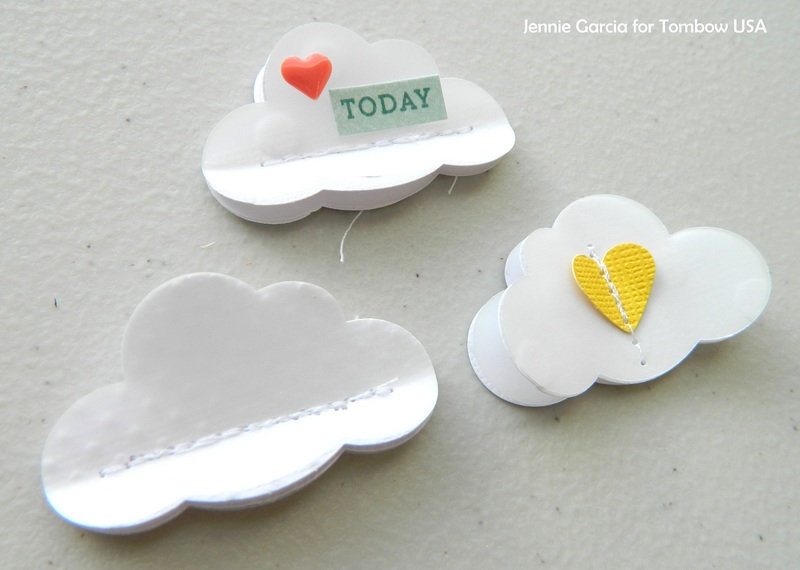 Well I hope you enjoyed this DIY: Embellishments edition! 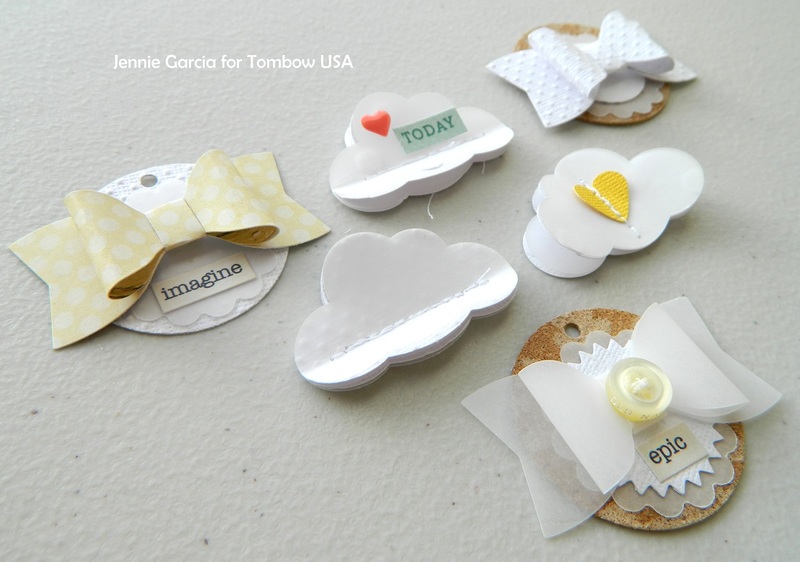 Come back on Monday to check out the Tombow Monthly Challenge! These are Great! Than you for sharing them . SSssoooooooooooooooooo CUTE!! Fabulous use of all those scraps! The1 thing I don’t have a lot of is punches. I have a corner rounder and a circle 🙁 Now I have more to add to my must have list!! I really enjoyed your embellishments. Please tell me what size your scallop punch was that you used? Hi Sharon! I’m glad you liked them! The scallop Punch is 1.5 inches.